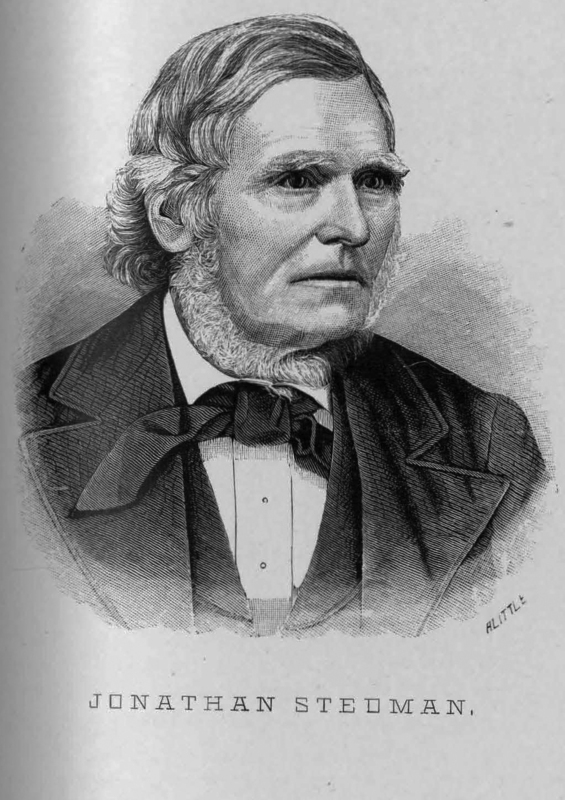 Jonathan Stedman (born 1803) was a public official in both Wyoming and Erie Counties. He served as Highway Supervisor and Justice of the Peace in Wyoming County in the 1840s, and served as supervisor and assessor in Erie County in the 1850s. A. Little, “Jonathan Stedman,” Digital Collections - University at Buffalo Libraries, accessed April 18, 2019, https://digital.lib.buffalo.edu/items/show/80939.